View The Obituary For Roger L. Desilets of Blackstone, Massachusetts. Please join us in Loving, Sharing and Memorializing Roger L. Desilets on this permanent online memorial presented by Cartier’s Funeral Home. View The Obituary For Maria Juanita Delgado of Brockton. Please join us in Loving, Sharing and Memorializing Maria Juanita Delgado on this permanent online memorial presented by J.B. Johnson Funeral Home. View The Obituary For Frederick W. "Fred" Booth of Reading, Massachusetts. Please join us in Loving, Sharing and Memorializing Frederick W. "Fred" Booth on this permanent online memorial presented by Douglass, Edgerley, & Bessom Funeral Home. 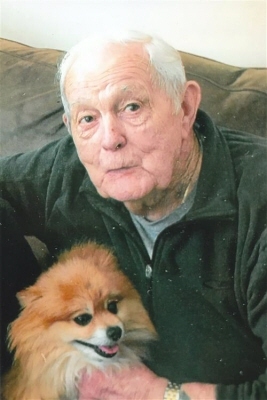 View The Obituary For Edward R. Kelley of Andover, Massachusetts. Please join us in Loving, Sharing and Memorializing Edward R. Kelley on this permanent online memorial presented by Conte Funeral Home. View The Obituary For Lillian C. Webster of North Andover, Massachusetts. Please join us in Loving, Sharing and Memorializing Lillian C. Webster on this permanent online memorial presented by Conte Funeral Home. Ellis Anthony Rud, 63 of New Ashford, MA died Tuesday November 27, 2018 at his home. He was born in Utica, NY, son of Marianne (Ellis) Rud and the late Anthony Rud. He attended schools in Stockbridge, Richmond and Pittsfield. FREETOWN — Linda K.L. “Kim” (Hambly) Reynolds, 62, of E. Freetown passed away November 24, 2018 at Rhode Island Hospital. She was the wife of David B. Reynolds.Mrs. 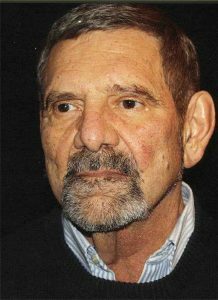 Reynolds was born in Acushnet, daughter of the late Frederick A., Jr.
NEW BEDEFORD — George Abreu, a life-time resident of New Bedford, 77, passed away Monday, November 26, 2018, at St. Luke’s Hospital after a long illness, surrounded by his family. He was the loving husband of the late Barbara M.
Gloucester – Mrs. Charlotte J…. Gloucester – Mrs. Charlotte J. (Bradley) Michon, 93, a lifelong Gloucester resident, passed away peacefully on Wednesday, November 21, 2018, at home with her daughter and granddaughter at her side. She was the loving wife of the late Wilbur F.
Keene, NH – David W. Brown, 78, a Gloucester native, recently passed peacefully at Cheshire Medical Center in Keene, New Hampshire. David retired from the U.S. Navy in 1980. He served as a Cryptologic Technician with a Top Secret Clearance. Peabody MA – Maria Candida (Brasil) Sousa, 92. of Peabody, died peacefully on Sunday, November 25, 2018, at the Care One Nursing Center in Peabody with her family by her side. She was the wife of the late Jose J.